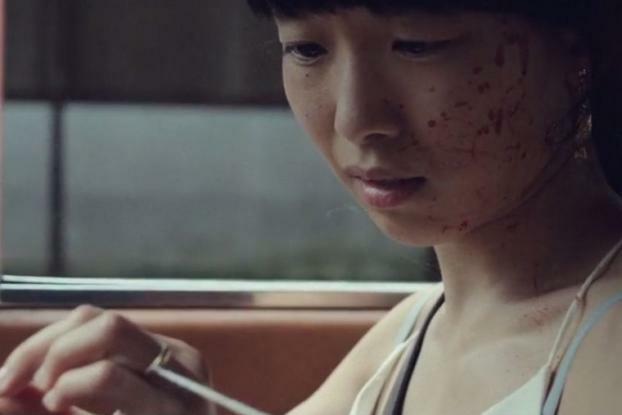 Wieden & Kennedy London has made a haunting, and somewhat gorey, music video for Texas-based Khruangbin (who are influenced by 60's Thai funk) thanks to a personal connection. Not only did Scott Dungate, creative director at the agency, direct the film, Laura Lee, a former W&K London employee is the bassist in the band, which played at Glastonbury this year and is currently touring the U.S.
After successfully raising funding on Kickstarter and with the help of Somesuch, the Mill, Trim and Factory, the band made the video with Dungate's creative vision for the song. The film references the styles of Tarantino and Miyazaki, featuring a blood-spattered woman archer bound by a thread to an ex-lover who is pierced full of arrows. They have a final, balletic dance before she is finally able to break free. Dungate said in a statement: "I've always found the music of Khruangbin very cinematic, as if lifted from a film score. Working with the band, I really enjoyed working out a visual narrative to fit the highs and lows of the song. It's a beautiful song but it's also more complex than that. I wanted a story that also acknowledged the track's moments of haunting and melancholy. That's how we came up with this idea of a break-up, moving on and one last dance."